Have you registered for Speak Up and are uncertain of what to do next? 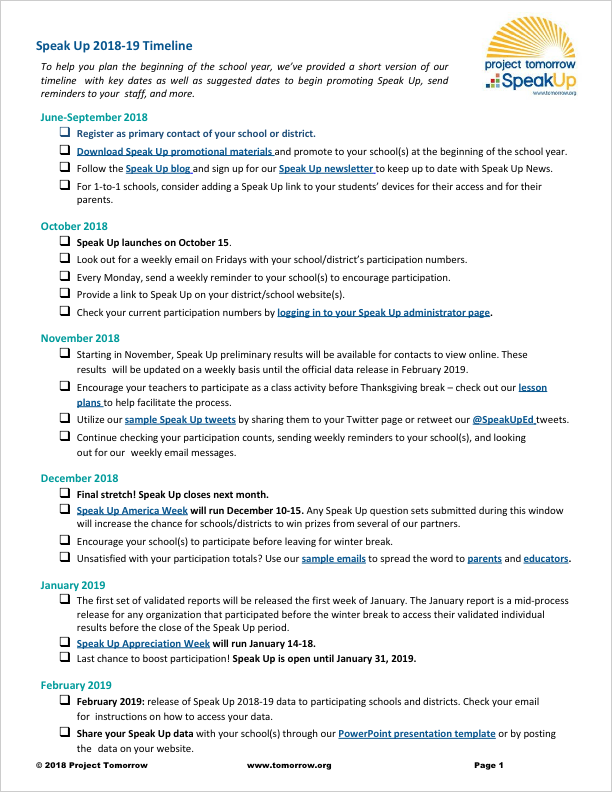 The district/school timeline is a great tool to help you prepare for the Speak Up open period. This month by month timeline outlines our suggestions on how and when to encourage participation to ensure a significant sampling of representative data is collected in your district. Included are important Speak Up deadlines, participation emails dates and tips for encouraging participation.